Design and Manufacture a Rail Cab Carrier to customer specifications. The rail cab carrier has been designed for a major international client operating in the transportation sector. The carrier is designed to support the cab section of a railway carriage during production without metal to metal contact. The unit is primarily made from 5mm laser cut steel plate with 3.5mm thick box section supports. The areas of the stand which are in contact with the cab have been fitted with nylon pads to prevent any metal to metal contact. The carrier has been manufactured with 160mm x 80mm x 8mm hollow section fork pockets. Not only do these allow the unit to be transported easily, they also form another support structure. 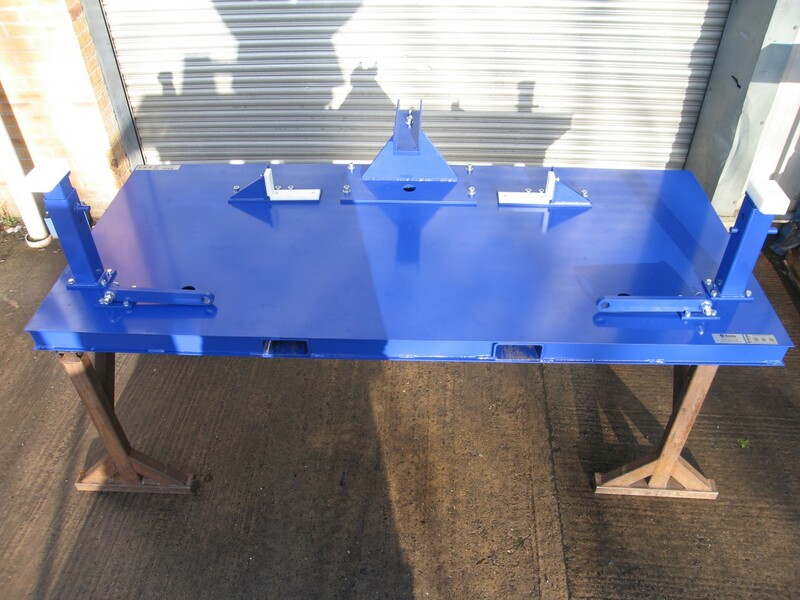 To give a hard wearing and durable finish the assembly has been powder coated in Blue Pantone 280C.